While we are still sweltering in the heat of the hottest summer since 1976 it might seem a little strange to be talking about our contemporary fireplace accessories, but it won’t be so many weeks before those of us who still have an open fire or woodstove are enjoying the sheer delight of watching those oak logs burning. Oak is one of the best firewoods as it produces good heat and burns slowly, but it does need a long period of seasoning to be at its’ best. You can store your oak logs – or any other logs for that matter – in one of our Roco Verre curved polished log baskets which will hold enough logs for an evening’s burning. If you need to hold more logs because you are using a wood that burns faster than oak you might prefer the Deco tall log holder with its’ accompanying fireside tools. The Deco log holder has a flat top, so you can use it to display an ornament from our contemporary range. Then there is also the black Vail log holder and carrier in black which you can take out to your log pile, load up, and bring back into the sitting room as it is. We also have a modern take on the original willow log basket with our rectangular black one. As for fireplace tools sets we have a choice of several. Many people like our English Knight design in black with the knight in armour holding a set of tools. Then there is our Roco Verre polished set in a very square modern design with long handled poker, shovel, hearth brush, and tongs. Also by Roco Verre is the chromed steel finished fireside set and log basket combined, which is ideal if space is at a premium. The tall log basket contains the logs and the poker, tongs, brush, and shovel hang down from the top of it. For those who like to use coal we have a modern design of coal scuttle which is finished in matt black and has a brushed bright chrome trim with matching handles. 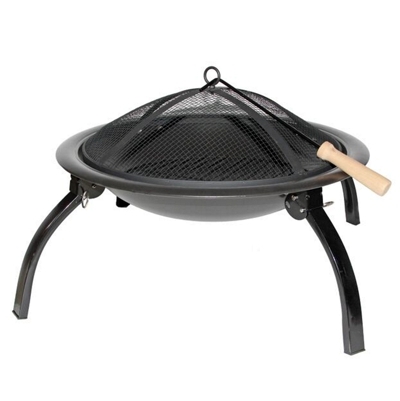 We also supply a very heavy solid coal and log burning basket. Of course, when the fireplace is not in use you can hide it away with our curved brushed metal fire screen. This has a close knit metal mesh which will also protect you from spitting ash and logs when the fire is burning.